Two major ethnic groups that comprise Rwanda's indigenous population are the Tutsis and the Hutus. Until 1959, the Tutsi minority formed the dominant cast in the country's feudal system. This led to tensions between the two ethic groups. In 1994, these tensions finally sparked a genocidal mass slaughter against Tutsi and moderate Hutu. The Rwandan Genocide began following the assassination of Rwandan president Juvénal Habyarimana and Burundian president Cyprien Ntaryamira on April 6, 1994. The number of victims is estimated at between 500,000 and 1,000,000. On July 4, 1994, the Rwandan Patriotic Front took over Kigali, which was the war's turning point. It is now commemorated as Liberation Day. Liberation Day in Rwanda is marked with numerous commemorative and cultural events, including speeches, official receptions, remembrance ceremonies, sporting events, concerts, parades and other festive activities. 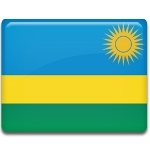 The largest celebration takes place at Amahoro Staduim in Kigali City, the capital of Rwanda. Symbolically, during the genocide the stadium was a UN Protected Site, hosting thousands of refugees.